We recently had the opportunity to review The Scavengers Study e-Guide from Progeny Press. This guide introduced us to new books for our teenager to enjoy, but it also gave me to use lessons for summer reading! 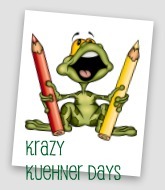 Progeny Press has several Study Guides that they have created for all grade levels (elementary through high school). These are written from a Christian perspective, so I do not need to worry about inappropriate content (which saves me tons of pre-reading time). The Study e-Guides are easy to download PDF files, which also include an Answer Key document, also saving me a lot of time if I have not already read the book. Each of the Study e-Guides include pre-reading ideas before you start the book, chapter-by-chapter questions, and some even have a suggested schedule if you are using it along with other materials during your school year. 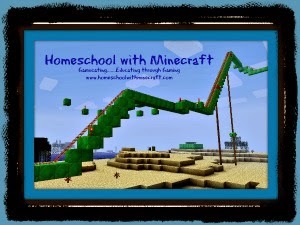 This allows your child to really more intensely look at their reading selections. The high school level e-Guides will actually give you 1/4 credit toward your student's graduation requirements (if your state requires this). The Scavengers Study e-Guide could be done over a suggested period of up to ten weeks (it did not take Lydia that long...she LOVED this book). 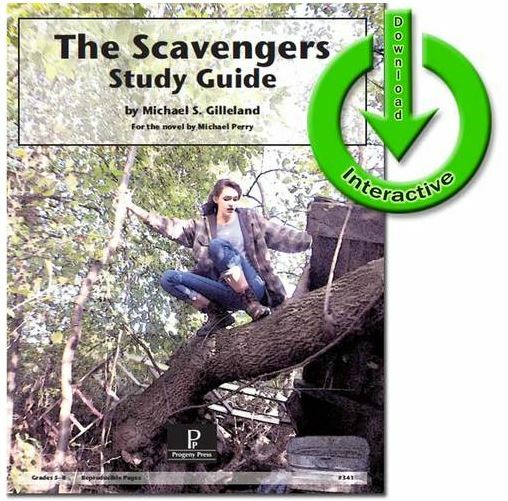 We had the opportunity to review The Scavengers Study e-Guide written by Michael Perry. The Scavengers Study e-Guide was written by Michael S. Gilleland. This story takes your student to a world very different from their own. Maggie, or Ford Falcon as she likes to be called, must save her family. She and her family live outside of a Bubble City, or protected area. There are so many dangers that she and her family must face as they work on their survival. The Scavengers introduced Lydia to solar bears, URcorn, and GrayDevils. She said she felt like she was on the edge of her seat all the time. So you may ask yourself, why buy The Scavengers Study e-Guide? The short answer, the work is done for you. The Scavengers Study e-Guide has comprehension and vocabulary requirements already done for you. I could either print the pages for Lydia to fill out, or she could type her answers into the sheets, and I could print them for her records. You use these specially created Progeny Press Study Guides to easily fulfill Literature requirements for school. The Progeny Press e-Guides are written from a Christian perspective, and also include scriptural text. This allows your student to read about everyday life and apply scripture into their life. You can see a sample text below. Optional activities are also included with several chapters. One suggestion from The Scavengers Study e-Guide surrounded the limited food choices that this family faced. How would your child handle only being able to eat what they grow? Would they be able to survive knowing that they could not have that mid-morning snack they have grown so used to? Could your whole family handle this? What meal would they plan if they had to grow the food in the area you currently live? Vocabulary is presented in terms of both definition and use of sentences. I really liked how this was presented. It wasn't just presented as, this is what this word means. Lydia had to create sentences using the vocabulary in her own sentences also, looking at the means and also the antonym of the word too. Toward the end of the guide, there are writing and activity suggestions for when your student is done reading the book. These suggestions included extra research projects on both geography and social sciences. We did these more verbally, but as school starts winding back up, I plan on adding more of these assignments in for Lydia as she tackles more middle school level projects. We did not spend several weeks on this particular study, simply because she was on break from several of her other subjects during this review period. So she had extra time to tackle reading and study guide work. But I definitely see how you could easily stretch this over several weeks. 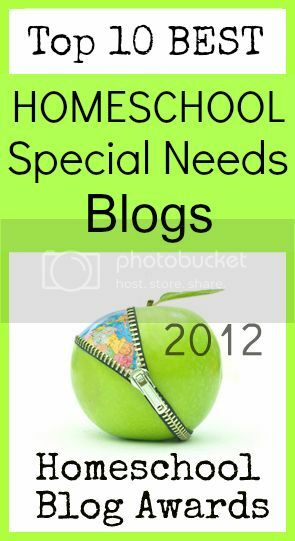 The comprehension questions and vocabulary are well-written and will get your student thinking. I was not disappointed in this selection from Progeny Press, and I'm working on picking out the next study that Lydia will be starting soon! This is definitely a budget-friendly option for families to work through Literature studies! Several members of the Homeschool Review Crew were given the opportunity to review various e-Guides from Progeny Press. Click on the link below to see what they thought of these educational options, and how their student's enjoyed them.